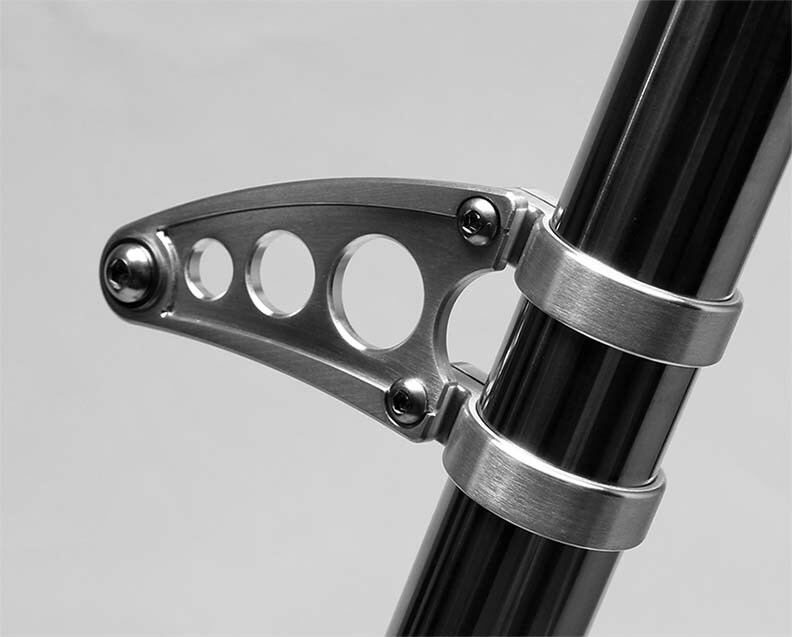 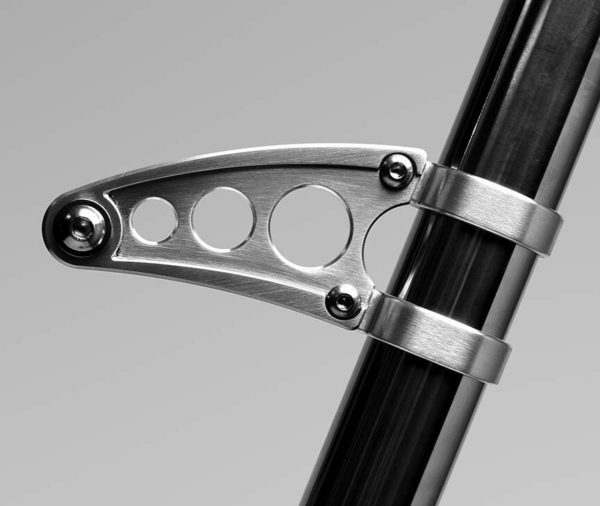 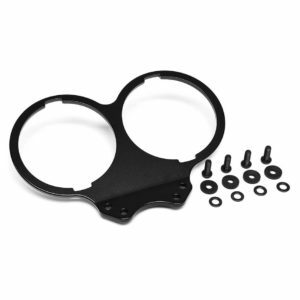 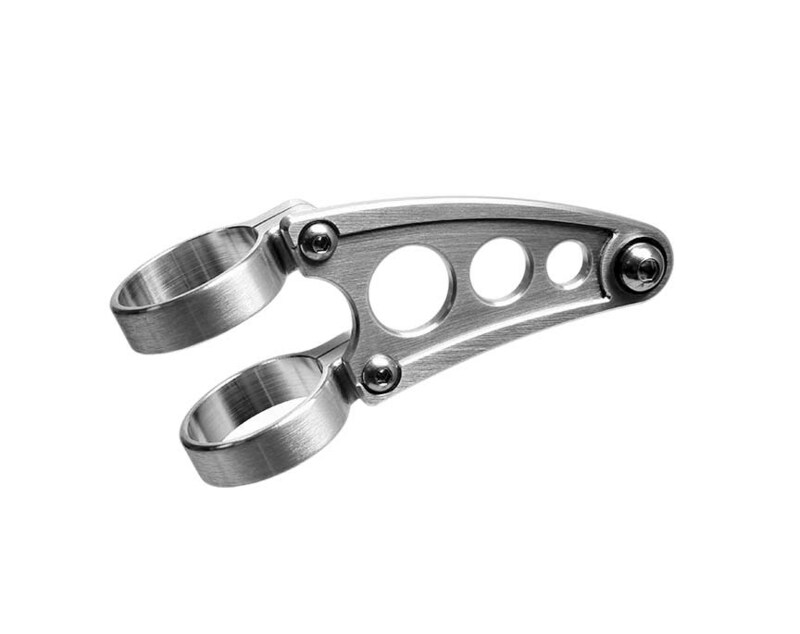 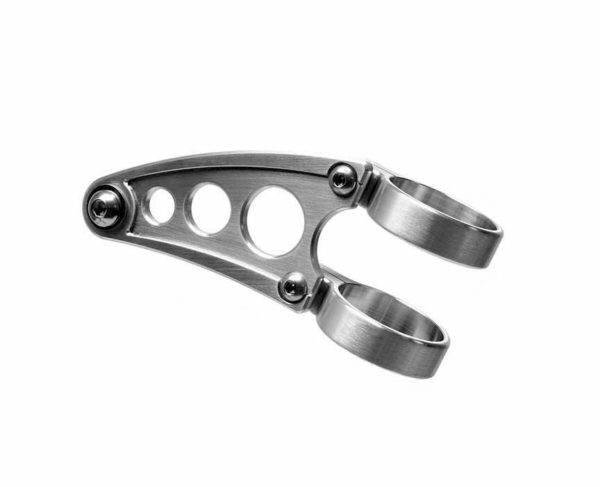 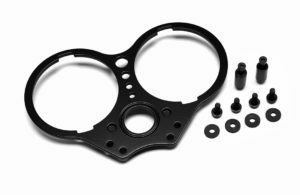 .50″ / 12.7 mm shorter than stock Bonneville headlamp brackets. Designed to fit the stock Bonneville and Thruxton 8″ headlamps. 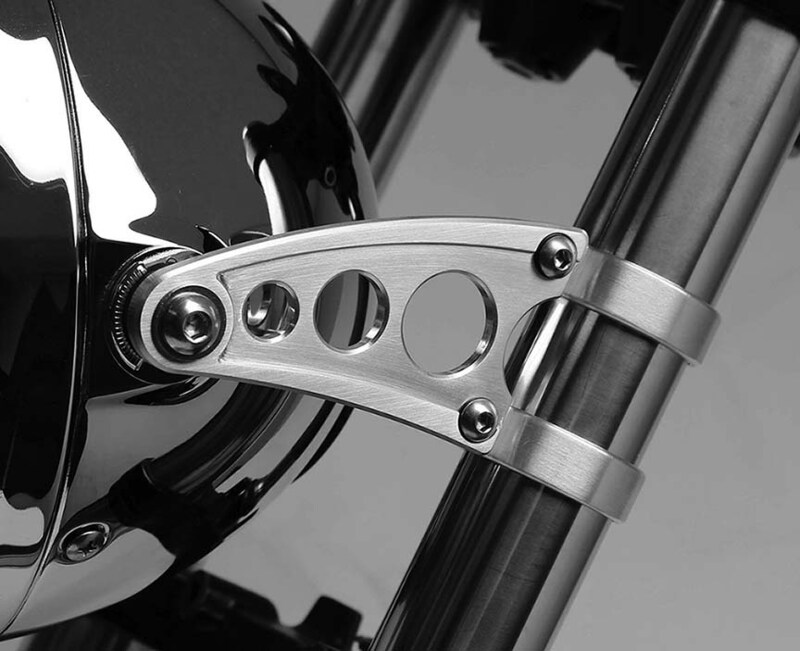 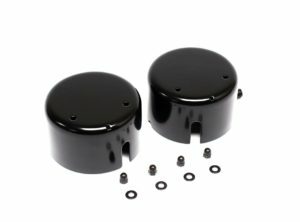 Spacers required for stock Scrambler and other downsized aftermarket headlamps. 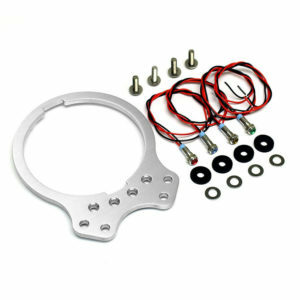 Be the first to review “Sharky Shorty Headlamp Brackets” Click here to cancel reply.